Starting on the 12th March, if you have a Facebook Page, you may see your Like numbers drop a bit. 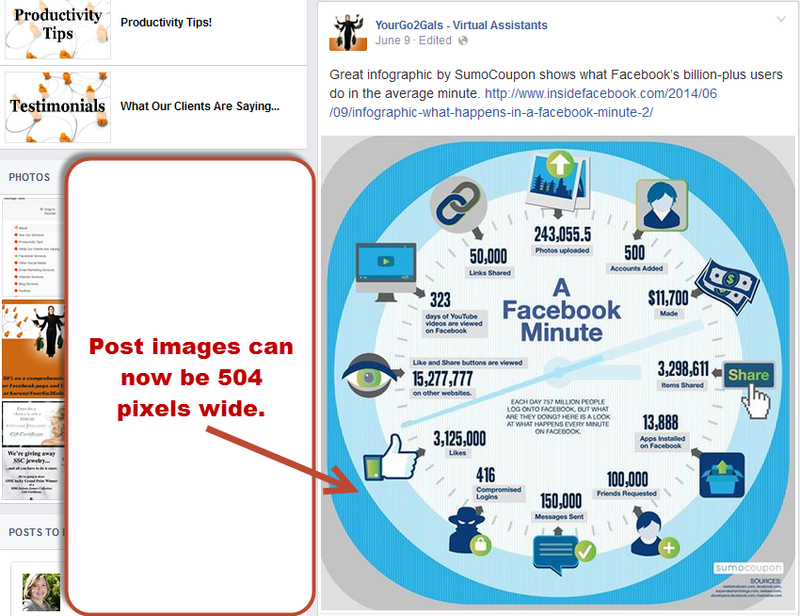 "We've recently updated the way we measure how many people like your page. Pages may see a decrease in likes after March 12, when we remove likes from inactive Facebook accounts"
That's not bad news though, those likes would never have developed into customers because they are no longer using that particular Facebook account. So now you'll receive accurate data that actually counts when using your insights, and hopefully that should drive your engagement numbers up a little. 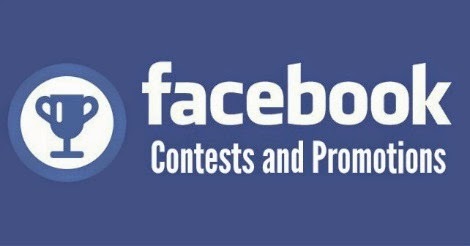 With over 1.35 billion active members, Facebook is a popular place to host these contests. Before you start collecting Likes and handing out prizes, there are some things you need to know about running promotions on Facebook... including some very important Facebook contest rules. What Is Considered a Contest or Promotion? Before August 2013, Facebook page owners wanting to hold a contest or run a promotion on Facebook had to use third-party services. To make it easier for businesses to create contests and promotions, the Facebook removed the requirement for those to only be administered through third party apps. 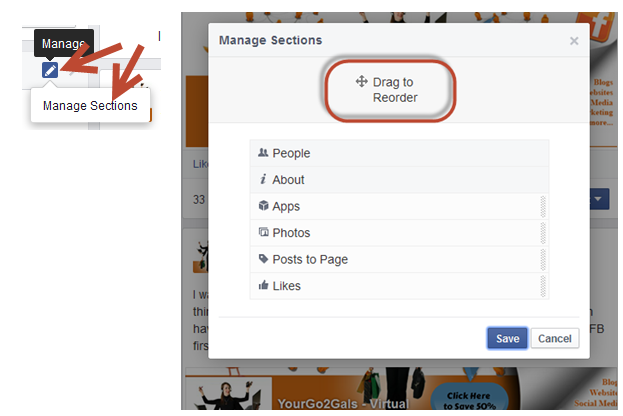 Now you can also host contests and promotions on Page Timelines. 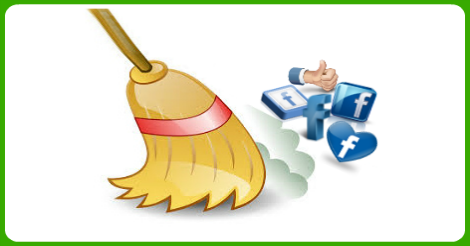 Contests and Promotions on personal Facebook Timelines is not permitted. While you can run contest and promotions in the Page Timeline, running contests and promotions via Page tabs and apps, is easier to administer and allows you to build your mailing list at the same time. It also gives you more space and flexibility for content. No matter which method you chose, Page posts about contests and promotions can be displayed in the News Feed, helping you reach a broader audience. The actions you can require are fairly self-explanatory; but those you can’t require need a bit more detail. Facebook prohibits businesses from encouraging people to tag themselves in content that they’re not actually depicted in. For example, it’s alright to ask people to submit suggestions for names of a new product in exchange for a chance to win a prize. However, it's not permissible to ask people to tag themselves in pictures of a new product in exchange for a chance to win a prize. Facebook’s new ban on Like-gating will have a slight impact on the way contests are run. As of November 5th, Pages can no longer require members "Like" their Page in order to enter a contest. These restrictions ensure that people who are taking these actions are doing so because they genuinely want to interact with your Page. It creates a better experience overall, and ultimately you’ll have better fans as a result. Facebook contests must also include a complete release of Facebook by each entrant or participant, as well as acknowledgement that the promotion is in no way sponsored, endorsed, administered by, or associated with Facebook. Finally!! It’s rolling out to everyone: the New Facebook Page layout that was originally announced in March is going to be released to all pages. It took Facebook 3 months instead of the 1 month they had initially announced; probably because of the many bugs they had to fix. Here is a detailed list of all the major changes that you need to be aware of. #1– Adjust your cover photo. 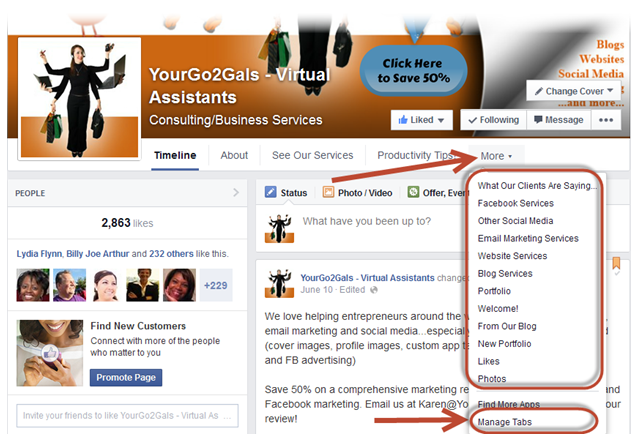 Your Page name and category, along with the Like, Follow and Share buttons are overlayed on the bottom portion of your cover photo. 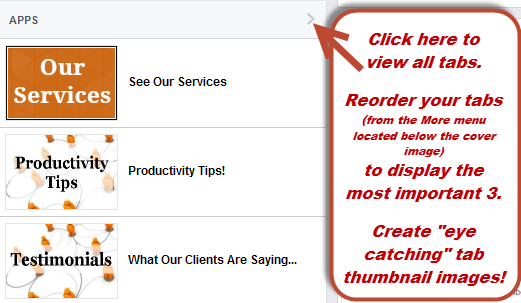 Remove any writing in the lower 65 pixels of your cover photo and take into consideration that Facebook adds a dark gradient behind the buttons and page name. The profile photo is the same size but is now moved up farther onto the cover photo image and a bit to the left. #2 – Apps tabs are still present on your page, but they are in the left sidebar. Custom tab images used to be located directly below the cover image, above the fold. In the new design, the custom tabs are now located in the left column and below the fold. #3 – All custom app tabs are still in the top menu bar, in the “More” dropdown menu. You can reorder the tabs by clicking on “Manage Tabs” at the bottom of the “More” menu. #4 – You can have one (or two) custom tabs featured in the main menu, above the fold. When reordering your tabs, move the photos tab to the bottom position. This will remove it from the top menu, but photos will still appear in your left sidebar. #5 – The posts on the page are now displayed in one single column. 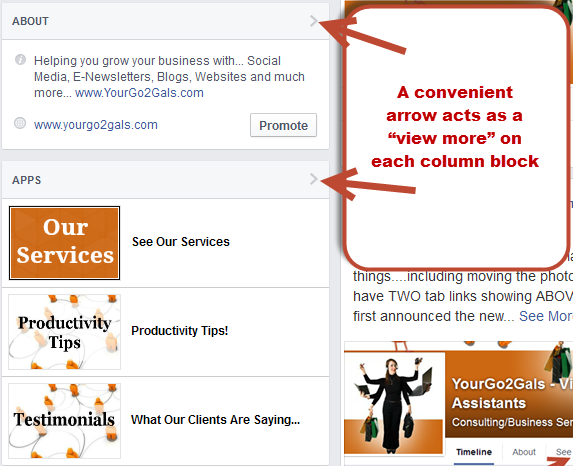 You can still create milestone posts, but they will display in the single column format. #6 – Your website URL is now always displayed in your about section. No need to count the number of words in your “about” section anymore to make sure you have your URL appearing on your page, it is now displayed prominently. And it’s clickable too! #8 – you can re-order all the blocks on the left column, except “people” and “about”. Go to the “manage” button (the pen icon), then click on “manage sections”. Then use the “drag and drop” interface to re-order the blocks in the left column. Note that “people” and “about” will always be on top, you can’t move these two sections. #10 – Easy access to your most important notifications. You can quickly see if you have a new message or notification waiting for you. 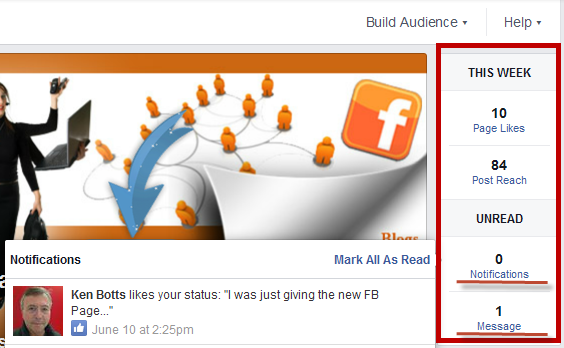 You also have a quick overview of your likes and post reach for the last 7 days. 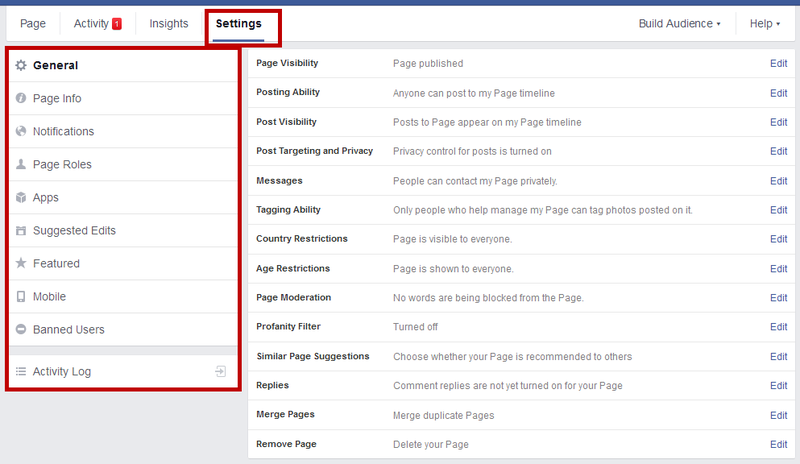 #11 – All of your page settings are in one place. Note that Activity Log and Banned Users have been moved to the Settings tab. 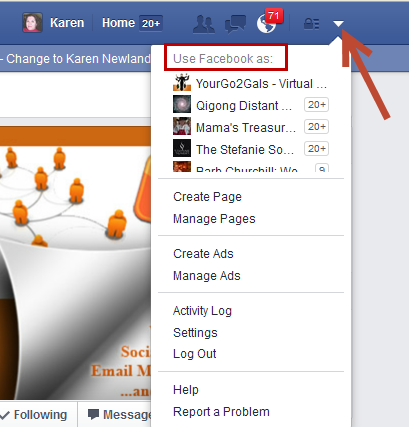 To use Facebook as your page, go to the top navigation bar, click the drop-down menu at the far right and select the page you want to “use Facebook as”.